June 29, 2017: The "Indian Act 2017" messenger canoe will be unveiled on Canada Day in Prince George. 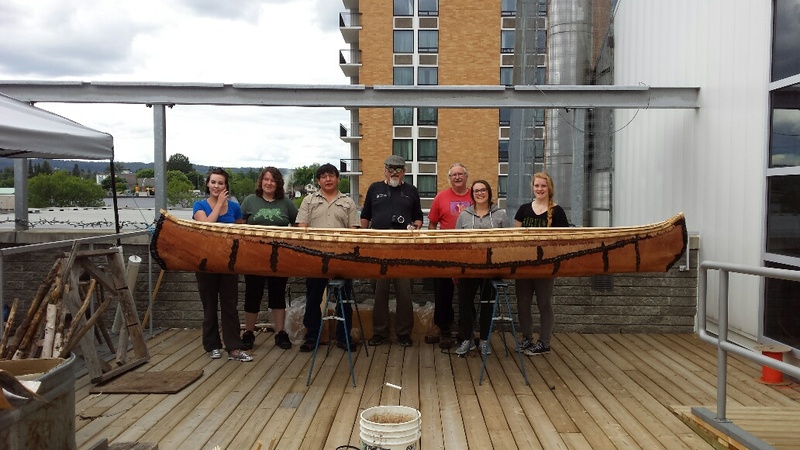 LAURENTIAN SCHOOL OF ARCHITECTURE – Building Birch Bark Canoes the Old-Fashioned Way! Learning From our Elders Gathering Oct 18-19, 2014 - Marcel was at this year's Elder's Gathering. An experience alongside elders and traditional knowledge keepers, authentic teachings on the historical, cultural and spiritual significance of Storytelling, Drumming, Sweats, Pipe Ceremonies, Sunrise Ceremonies, Smudging, Talking Circles and more: a holistic approach to teaching and learning -- renewing and educational. The McMichael Gallery - Sunday, March 9, 2014. Marcel participated in the March Break fun with replica birch bark canoe workshops and the screening of his documentary "The Art of Being Métis: Through the Teaching of the Canoe." 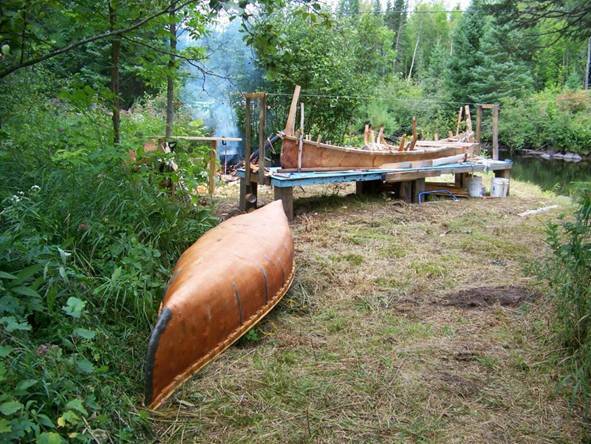 New gallery: The OAC 2012 Aboriginal Arts Education Project "Teaching from the Knowledge Canoe"
Marcel Labelle is proud of his Metis heritage. His mother is Iroquois and French and his father is Algonquin and French. Marcel grew up in Northern Ontario and spent most of his childhood on the trap line. This is where he learned how to live with and from the forest. 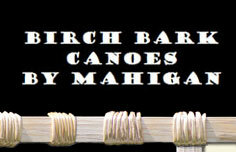 Today he builds traditional Birch Bark Canoes and demonstrates his craft at many venues. He also instructs a course in the Indigenous Studies field at Trent University in Peterborough, Ontario. He is supported by the Metis Nation of Ontario through their Training Initiatives Program. He is also the recipient of an 2008 OAC(Ontario Arts Council) Aboriginal Arts Projects grant towards Birch Bark Canoe Building. He received the highest individual amount for an OAC grant recipient Aboriginal Arts Project, 2009. 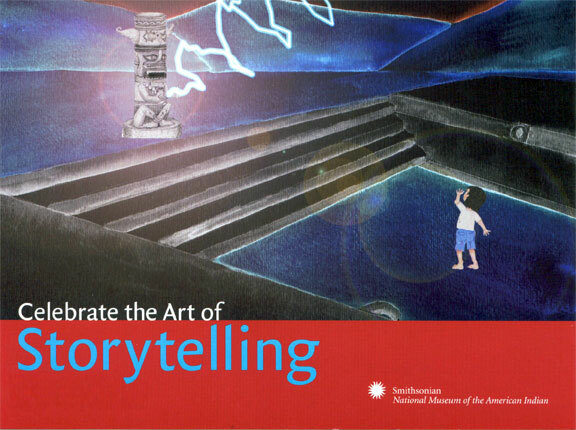 February 25, 26 and 27th, 2010 Marcel was asked to speak at the Smithsonian National Museum of the American Indian in New York City. Invite Marcel into your school to speak to your students about his Metis way of life. Come out and meet Marcel at one of the many events that he attends each year.